After a discontinuous life of confusion and suffering, Elijah, leaving our world in a fiery chariot, learns who he really is. In this whirlwind, time explodes. Identity returns. A sudden loss of forgetting, and I know why I am here. Elijah appears abruptly in the text, with no mention of his parentage and little about his background. After getting around quite a bit, his leaves dramatically, in a chariot of fire. Speculation about who or what Elijah is, was, or became runs throughout the myths and literature of many traditions. He has been identified with, among others, the zealot Pinchas in Moses’ time and with John the Baptist. Jewish legends say that he will return to announce the coming of the Messiah (and, while he’s at it, to settle all remaining disputes of religious law). He also is supposed to visit each seder table on Passover and take a sip of wine. 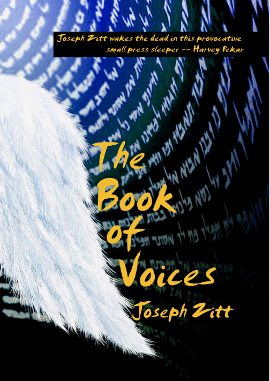 The book Tree of souls: the mythology of Judaism by Howard Schwartz has a good writeup with references on Elijah’s identification with the angel Sandalphon. Elijah’s story jumps about more than most, but I suspect that all of our memory is far more discontinuous than we assume. I know that I don’t remember every single day of my life, only the ones that stand out from usual, with a vague background of usualness behind them. How much of our lives do we actually remember? To what extent, when we try to remember our lives from the threads of memory that we have retained, do we actually weave new narratives to fill the gaps? How much of your life do you actually remember? If you were to catalog your long-term memories, what gaps would appear? Have any of your apparent memories grown from retroactively creating narratives to fill in the gaps? How might they differ from what really happened? Do the differences matter?